Check bags are fun. 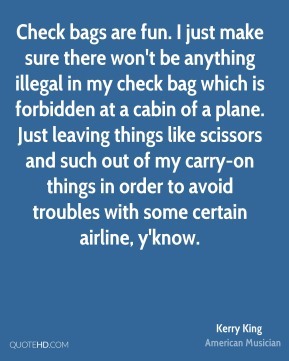 I just make sure there won't be anything illegal in my check bag which is forbidden at a cabin of a plane. Just leaving things like scissors and such out of my carry-on things in order to avoid troubles with some certain airline, y'know. 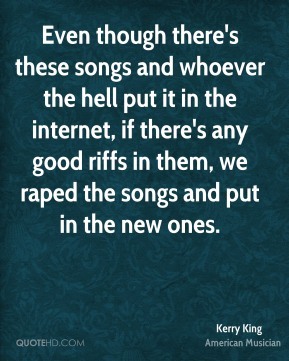 Even though there's these songs and whoever the hell put it in the internet, if there's any good riffs in them, we raped the songs and put in the new ones. 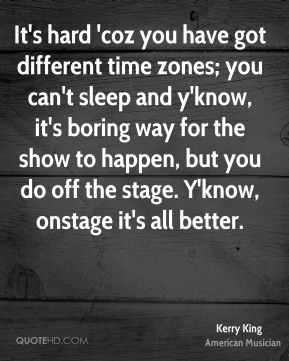 It's hard 'coz you have got different time zones; you can't sleep and y'know, it's boring way for the show to happen, but you do off the stage. 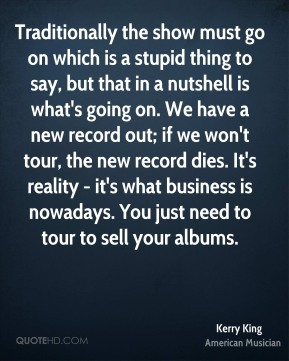 Y'know, onstage it's all better. So, there's like one luxury you take and since we do that, y'know, you're involved with people in suits; business people all the time. 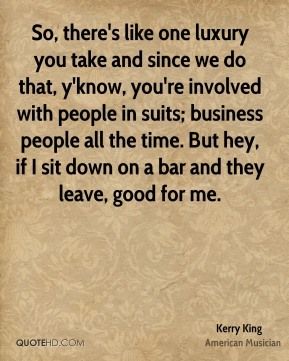 But hey, if I sit down on a bar and they leave, good for me. 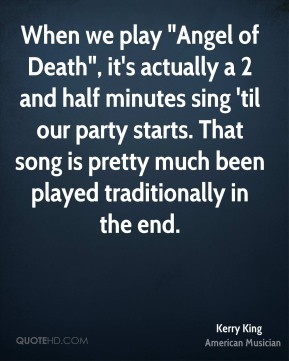 When we play "Angel of Death", it's actually a 2 and half minutes sing 'til our party starts. 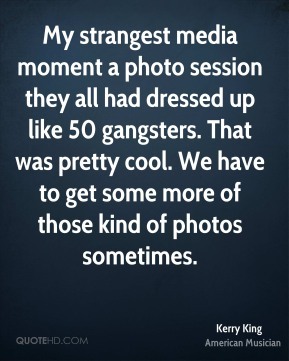 That song is pretty much been played traditionally in the end.